This time of year is filled with holiday themed music, and one of the songs you’re most likely to hear in some way or form is the “12 Days of Christmas.” You know, the one that lists all the presents some lady is getting for 12 days of Christmas. 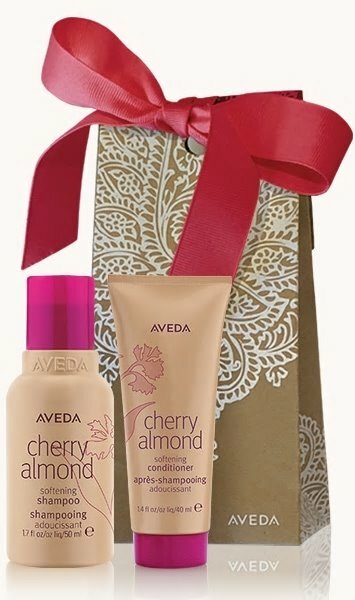 Well, that song was the inspiration behind this blog post, because we decided to take that popular tune and turn it into the 12 Days of Aveda, featuring Aveda’s special gift packages for the holiday season. 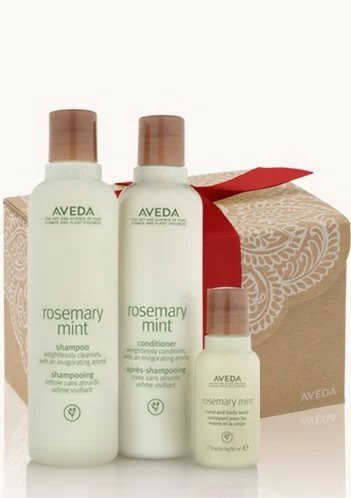 On the first day of Aveda, my true love gave to me “A Gift of Rosemary Mint.” This gift set features three rosemary mint products: shampoo, conditioner, and hand/body wash. Each one contains the scent of organic rosemary, peppermint, and other flower and plant essences. 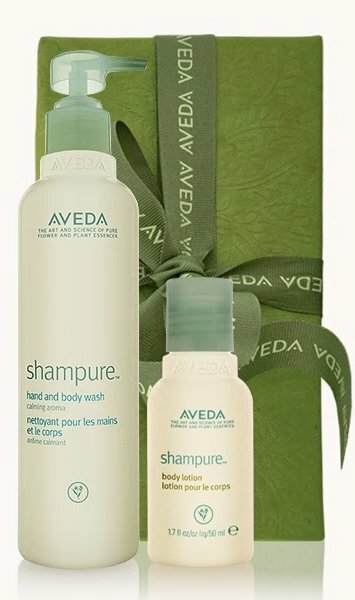 On the second day of Aveda, my true love gave to me “A Gift of Shampure.” With Shampure’s hand/body wash, body lotion, and moisturizing crème, you’ll be able to give (or receive) the gift that calms the senses. The combination of 25 flower and plant essences like lavender and eucalyptus will truly bring tidings and joy this holiday season. 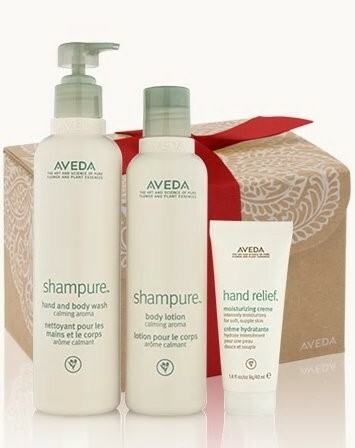 On the third day of Aveda, my true love gave to me “Feeling Calm.” This gift set, “Feeling Calm is a Gift,” includes two Shampure Aveda products to induce feelings of relaxation during the hustle and bustle of the holiday season: Shampure hand/body wash and body lotion. 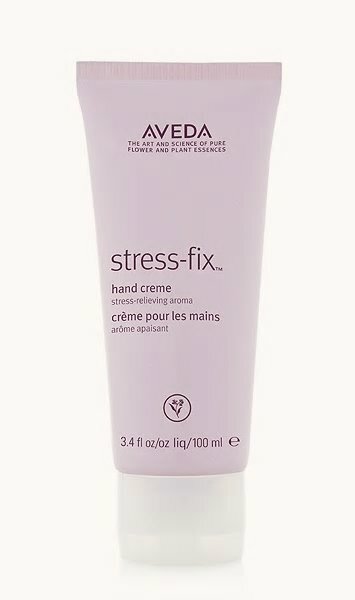 On the fourth day of Aveda, my true love gave to me “Stress Fix Hand Crème.” This crème includes aromas like organic lavender and clary sage, which are proven to reduce feelings of stress. Give (or receive) the gift of a non-greasy, moisture retaining, hand crème this year! 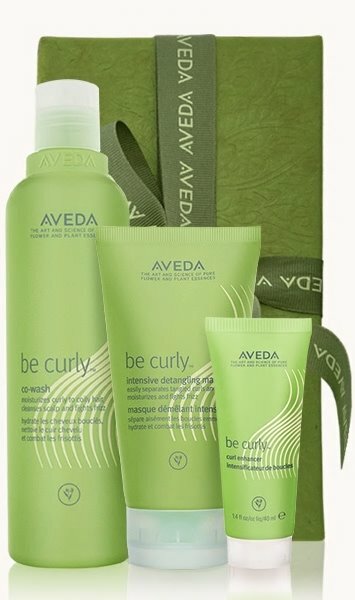 On the fifth day of Aveda, my true love gave to me “Soft, Defined Curls.” Aveda’s “Be Curly” line is perfect for those with curly hair and this gift set includes three stand out products from this line. It features a co-wash, intensive detangling masque, and curl enhancer for you to start out with a low-lathering conditioning wash, to improving your curls and keeping them detangled, to enhancing your curls while you’re traveling for the holidays. On the sixth day of Aveda, my true love gave to me the “Gift of Sweet Travels.” This holiday season is the time for lots of travel, to see family or to take a winter vacation. With all this traveling, having travel size liquids are an essential. The Gift of Sweet Travels set includes a travel sized Cherry Almond scented shampoo and conditioner to keep your hair shiny and soft while you’re on the road. On the seventh day of Aveda, my true love gave to me the “Gift of Effortless Style.” Time is of the essence during this season, and you don’t always have time to make your hair perfect for your holiday celebrations. 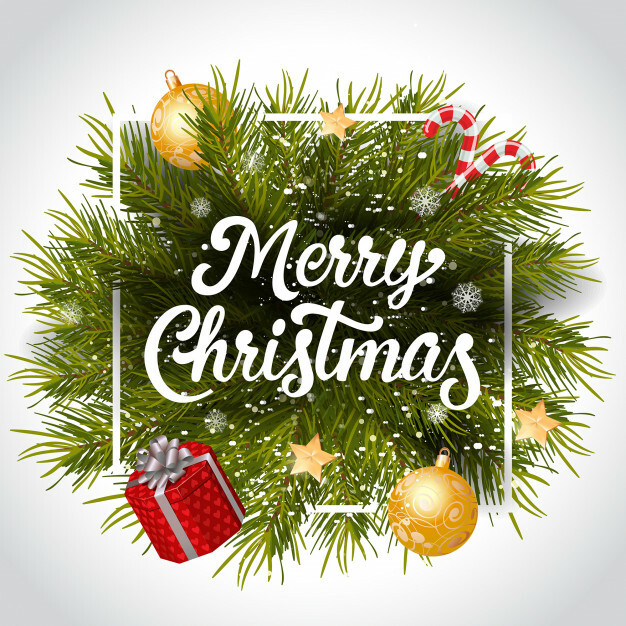 This gift includes a hair spray, a damage repair crème to protect your hair from heat, and a texture enhancement spray, all in a convenient travel size. 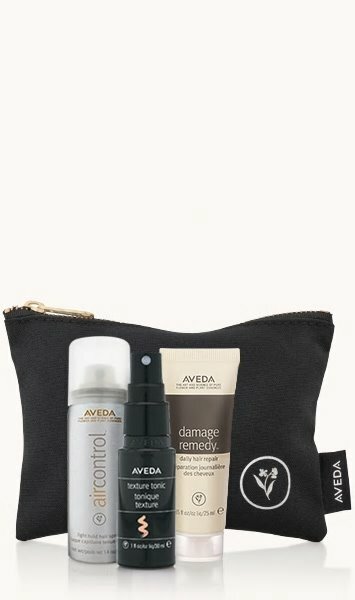 On the eighth day of Aveda, my true love gave to me the “Gift of Stronger Hair.” With this gift set, you can help repair some damage done to your hair. 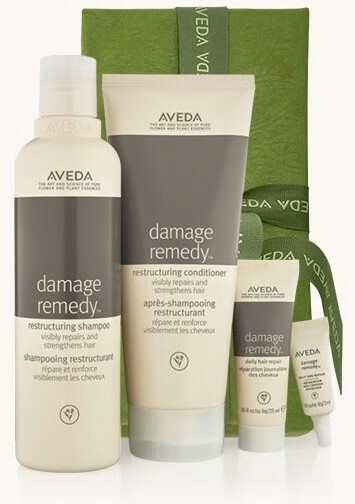 With the ‘damage remedy’ shampoo, conditioner, hair repair, and split end repair, you’ll be able to do just that. 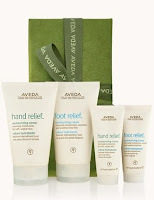 On the ninth day of Aveda, my true love gave to me the “Gift of Renewal.” Repair your skin this winter with Aveda’s hand and foot relief in 40 ml and 125 ml. The gift set comes with two of each in the two different sizes, so if you’re still looking for a gift this holiday, you can keep one and give the other. On the tenth day of Aveda, my true love gave to me the “Gift of Styling.” Styling is one of the most important things you can do to keep your hair just the way you like it. 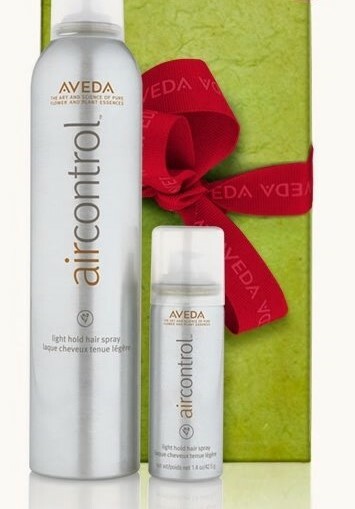 This gift includes two ‘air control’ light hold hair sprays, in a 42.5 g bottle and a 258 g bottle; one is perfect for travel, while the other is great to leave at home. 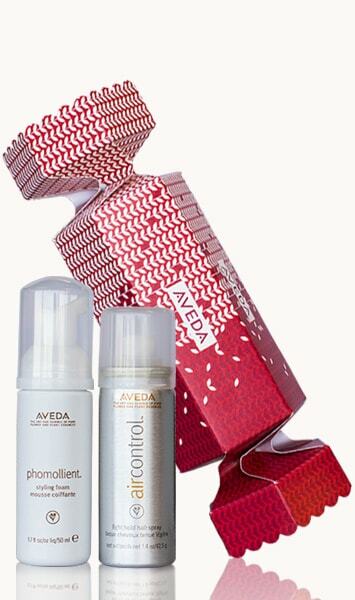 On the eleventh day of Aveda, my true love gave to me the “Styling Stocking Stuffer.” This stocking stuffer comes with travel size ‘air control’ hair spray and ‘phomollient’ styling foam to give your hair even more volume and make it stay. On the twelfth day of Aveda, my true love gave to me the “Gift of Refresh-Mint.” For the last day of Aveda, enjoy travel sized rosemary mint hand/body wash and body lotion for the road. But that’s not all, it also comes with a lip saver to keep your lips healthy in these cold months. That’s all for our twelve days of Aveda! These gift sets are available within our salon, so come by to pick up one to give as a gift this year or keep for yourself, we won’t judge! And if you liked this blog post, give it a share, it really helps us out! All credit for the “12 Days of Christmas” goes to Frederic Austin, the original composer. TLC Salon and Spa doesn’t own rights to the song in any form. 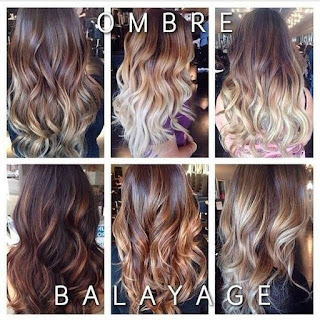 So, you want to color your hair and came across two styles that appear quite similar: the balayage and the ombre. Well to some these words may sound foreign, and to others maybe you’ve heard of them but aren’t sure what they each are. Now before you run to your hair stylist randomly choosing one of these styles, we have some basic information for you about each. First and foremost, a balayage isn’t only the style in which your hair is dyed, but is more so a technique your stylist will use to dye the hair. In French, balayage means “sweeping,” which describes the way the hair dye is applied. It is freehandedly painted on to blend the new color with the old. 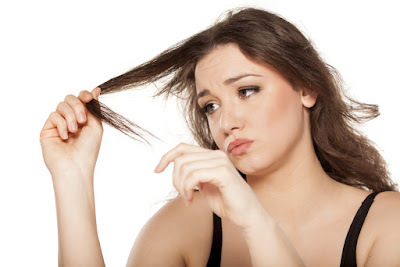 Dry Skin and Hair Giving you the Summertime Blues? It’s summertime, which means it’s time for those long days spent in the sun. Although it’s great to soak up that Vitamin D, exposure to UV rays for extended periods of time can be damaging to your hair and skin. Fortunately, there are many products that can help protect you while keeping your hairhealthy and your skin young. After a long day at the ocean, you come home only to realize that your hair is full of knots. And it’s not the small, brush for a couple minutes and they’re gone knots, but full-on size of a small bird’s nest knots. Instead of spending time sitting in the shower waiting for your conditioner to work its magic, get some leave-in detangler. You can still do all your favorite activities while getting rid of your knots, no stressful brushing required. 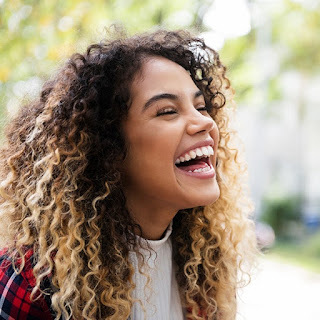 At TLC Salon and Spa, we are a Deva Curl certified salon, which means we know how to successfully take care of your curly hair, no matter the type of curls you have. Whether they are loose loops or tight corkscrews, there’s a perfect hairstyle for you. So, instead of reaching for the straightener, embrace your natural hair with these styles. Classic Bun You can’t go wrong with a classic bun and you shouldn’t let your natural curls stop you from pulling off this perfect look that gets your hair a little bit more under control. To spruce up your bun, you can always add a scarf to act as a headband. This jazzes up your hair and gets all those annoying “baby hairs” out of your face so you can focus on conquering the day. Check out this video that features 3 different types of buns you can do with your own hair!